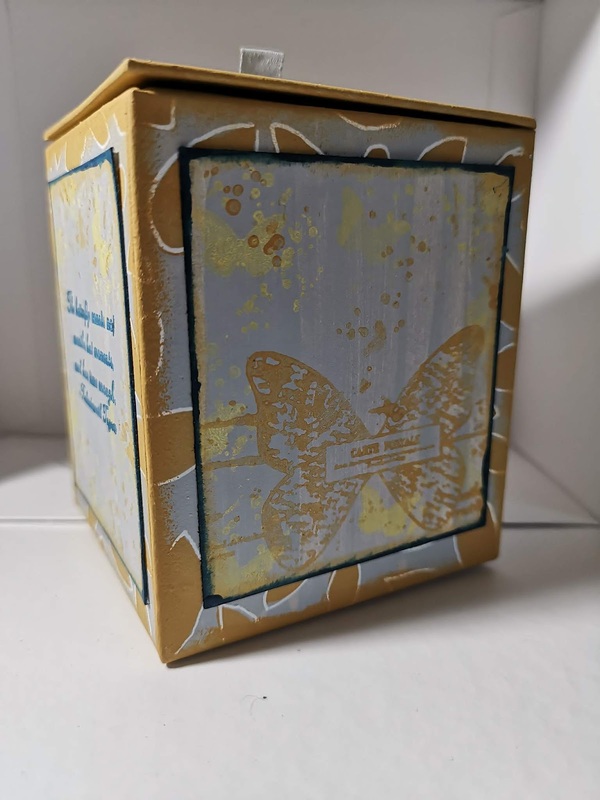 From a leftover to a box 'choc' full of beauty, Miriam's mustard combination takes on an almost rust quality. 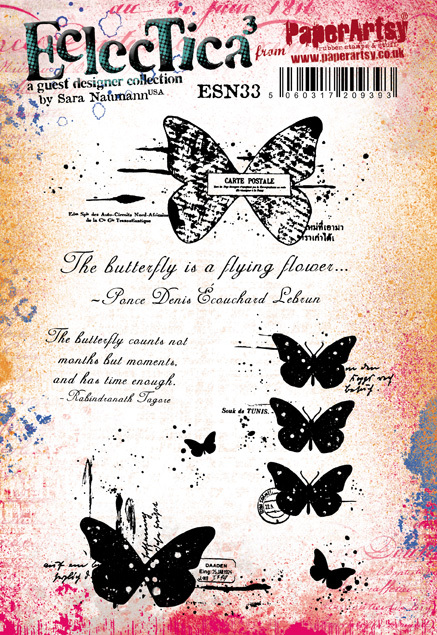 It wonderfully showcases Sara Naumann's new stamps too. Hi everyone, it's Miriam with you today, and I'd like to share with you a re-purposed box that I have decorated. Most of us would have received or bought chocolates of some form over the festive season. I was lucky enough to receive some truffles that arrived in a box that I knew, automatically, I would not be throwing away. Obviously this meant that I HAD to eat all of the truffles (hard job, I know!). I loved using a simple colour palette, a palette that I love to use. The box, itself, was quite shiny. Fresco Acrylic paint has an amazing coverage, but just to be sure, I gave the box a very light sanding to remove some of the gloss shine. 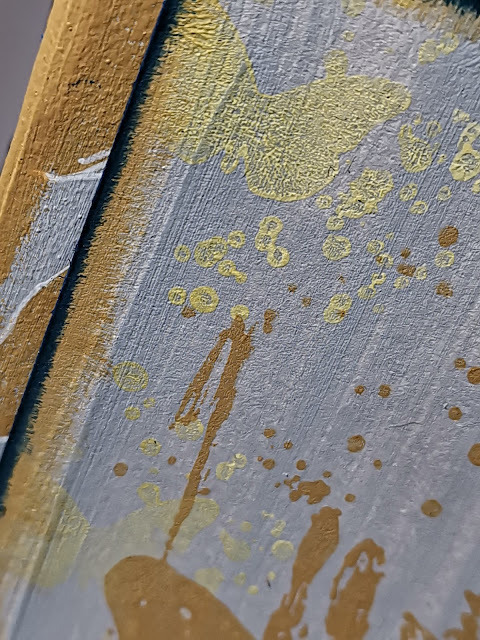 I then added a coat of Koala Fresco Finish Acrylic paint. 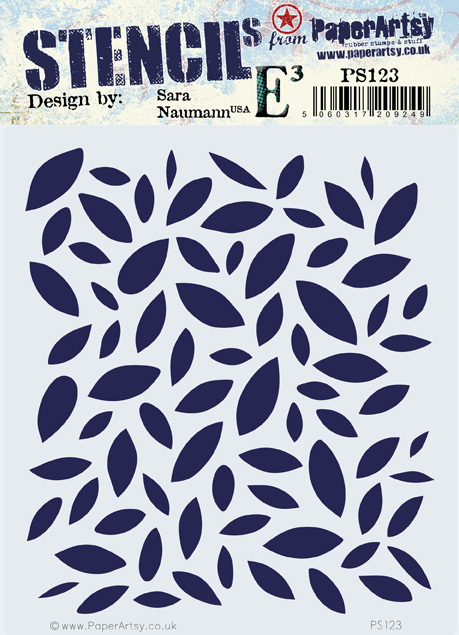 Sara's new release is perfect to be used for so many colour themes. I love the boldness of the stencils. They were great for this project, the code is PS123. For the leaves I used Fresco Finish Chalk Acrylic paint in Caramel which I thought had a warm mustard feel to it. I didn't want to stamp directly onto the box, although the detail of these stamps, teamed with the quality of the paints would have worked well. Instead I created separate panels. 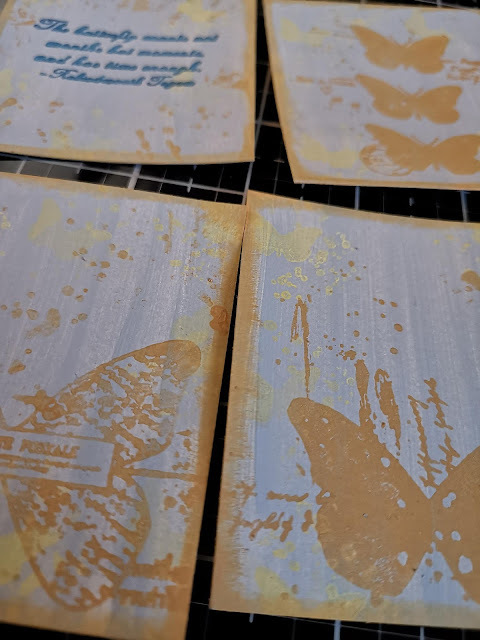 I used ESN33 to stamp the main images, using Caramel, Mustard Pickle and Twilight paints. 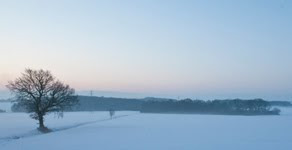 I love how these colours look together - they are as lovely as a box of chocolates themselves! I really enjoyed creating this box. I had planned initially to give it away but am now thinking of keeping trinkets in it. I loved the colour palette that I chose. The mustard colours are really warm and the touch of the cooler Koala and Twilight really compliments them. 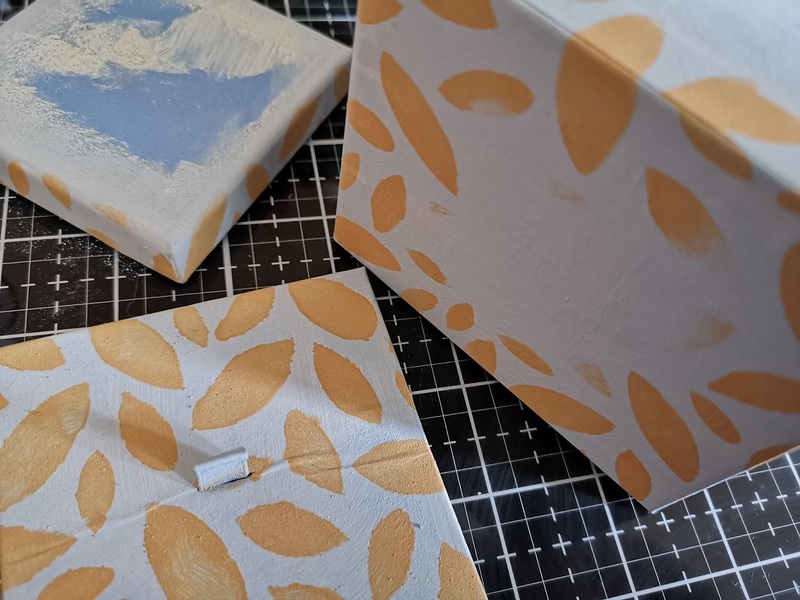 I had initially planned to edge the panels with Caramel but when I put them next to the decorated box I thought that it needed the contrast and so went back over and edged them using Twilight. It really is personal preference though - which is why I love crafting so much. We could all use the same products and create totally different things. I hope that I have encouraged you to have a go - maybe you can look at some of the packaging that you received over the festive period and re-purpose that instead of throwing it away or recycling it. Thanks for joining me this evening. Pop over to my blog to see how I created this in more detail. 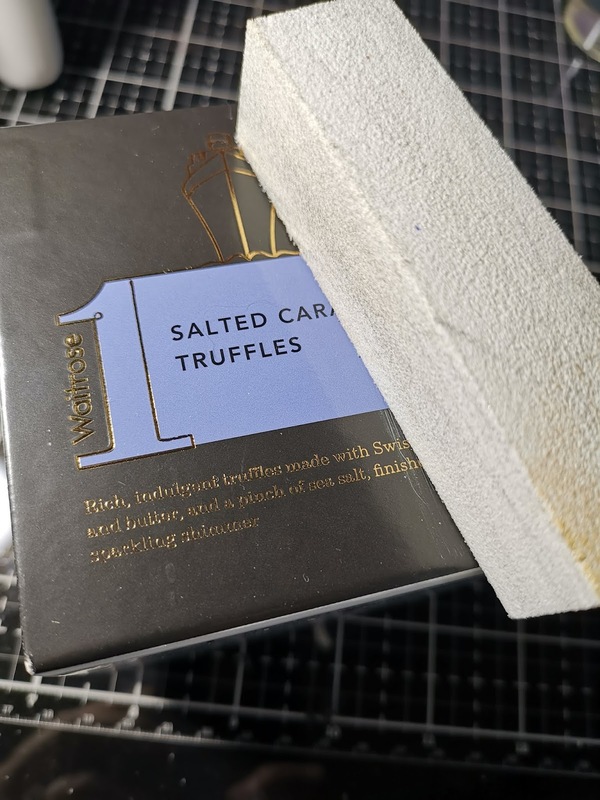 what a fab use of that truffle box! Gorgeous. Clever repurpose of the box with some great techniques, nice work! 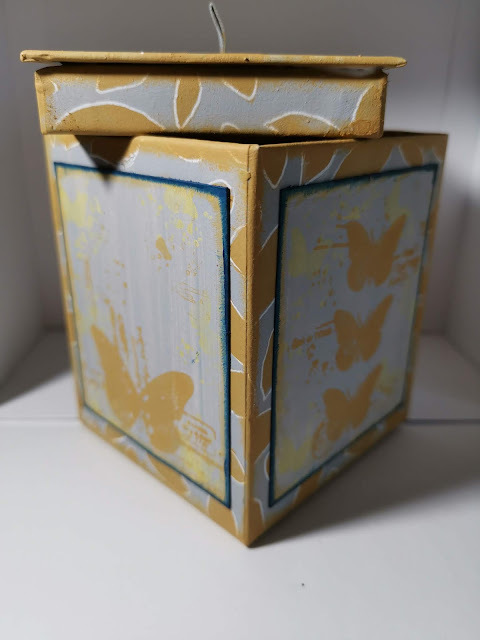 This trinket box is just gorgeous, Miriam! 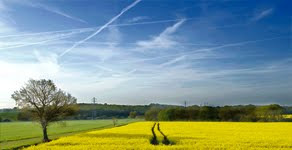 Love the warm yellows, and the contrasting blue is just right. Great bit of upcycling... trouble is I end up never throwing ANYTHING away!! Loving those colours. Fab trinket box. The blue edging was a great idea Miriam, it does add contrast and makes the finished product look very stylish. It's just beautiful Miriam! WOW! Great project!